Over the past several Wednesdays, we've followed along with Jake Hawrylak as he dissects and teaches a great bassline from some of the best players in jazz, like Israel Crosby, Ron Carter, and Ray Brown. In each lesson, Jake has also given some background on the uniqueness of the player's approach, helping to demonstrate what it was that made their style so original and appealing. 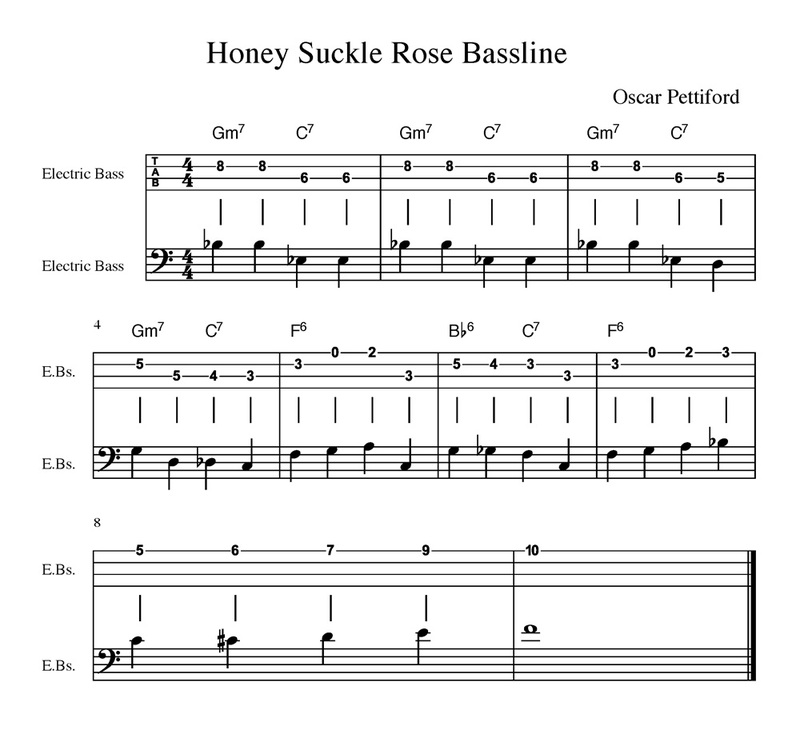 Today, we're in for a lesson in unconventional harmonies with Oscar Pettiford's part on Thelonious Monk's rendition of "Honkeysuckle Rose," a song composed by Fats Waller. Known for his commitment to strange harmonic structure, Thelonious Monk superimposed unrelated chords in the first four measures of this song. As Jake explains, whereas a normal bassline might match the melody Monk plays with his right hand, Pettiford instead mirrors what Monk's left hand is playing—a Gm7 and C7—and transposes it up a minor third. Grab your bass and follow along with Jake's lesson in the full video above, and be sure to check back next Wednesday for a brand new Bass Walk of the Week.